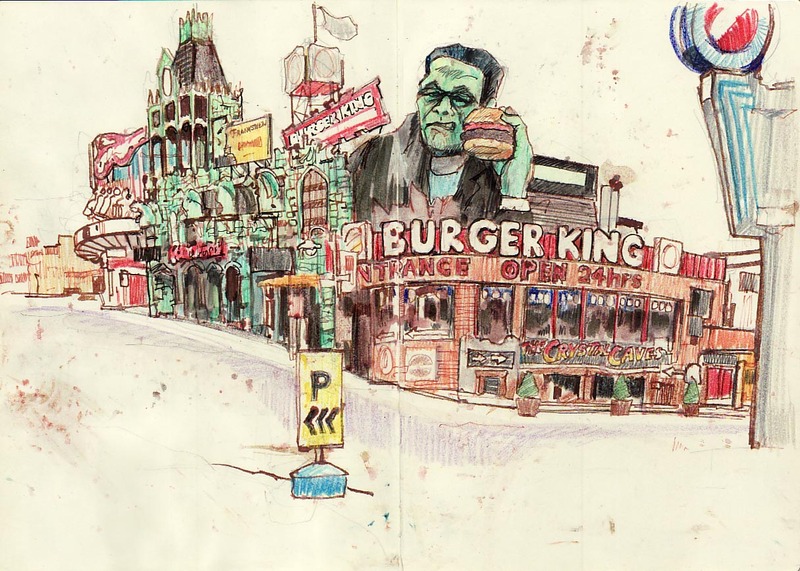 Tripping across the site Urban Sketchers, I spotted a beautiful pair of sketches of that legendary Canadian destination by Brooklyn illustrator Stephen Gardner (who has a serious habit of sketching). 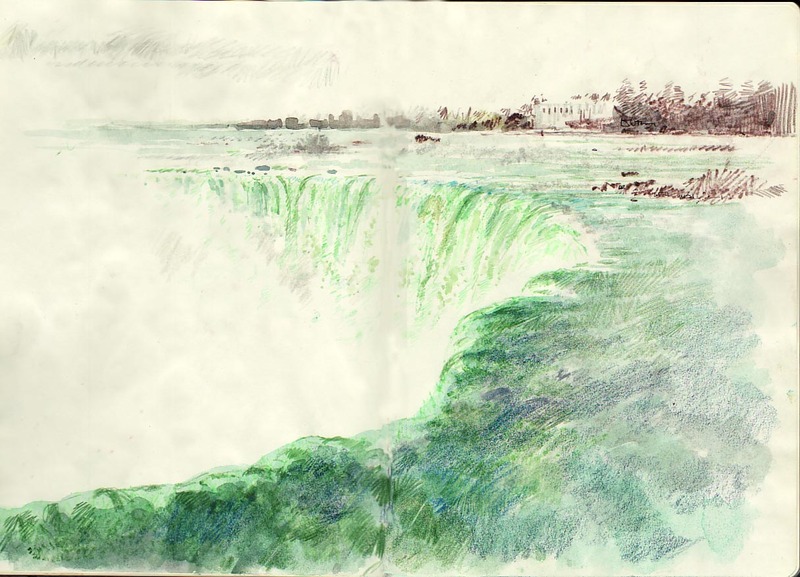 Niagara: So many stories! So many visits! I always imagine kids screaming in the back seat on the long drive flinging ice-cream at each other. The documented memory is more often held onto while the grisly reality forgotten.